Manchester United sources reportedly fear that the departure of Jose Mourinho’s assistant Rui Faria this summer is a key reason for the manager heading into full meltdown mode. This is according to the Daily Star, who cite a club source as explaining how close Mourinho and Faria were, and how his old assistant, who followed him around a number of top clubs, often stopped the Portuguese tactician from going off the rails. It certainly hasn’t been the best start to the season for United, with Mourinho cutting an immensely frustrated figure in pre-season and coming to blows with some big-name players at Old Trafford, such as Paul Pogba and Anthony Martial, as also noted by the Daily Star. Despite an opening-day win over Leicester City, United were then beaten 3-2 by Brighton in their next game, and it seems Mourinho may be feeling the effects of losing Faria in the dressing room. ‘Rui was the only person prepared to stand up to Jose in the past and talk some sense into him at times. They were best mates and inseparable,’ the source is quoted by the Star. Mourinho’s relationship with Ed Woodward has come into focus recently and it seems there is a genuine worry inside United that the absence of Faria to cool Mourinho down could yet lead to an even more explosive row. 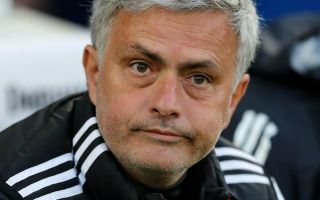 Mourinho has never exactly been known as being one of the easier-going characters in football – and even less so when things aren’t going his way, as has been the case for much of his time in charge of the Red Devils so far.